Every woman hates to have cellulite! Those hideous looking fat deposits attack those points that are clearly visible –thighs, hips, and lower abs. However, there are women who have cellulite in their arms as well. Is there an effective, yet quick way to get rid of the cellulite? The answer is definitely a big YES! Before guiding you through the 7 techniques to get rid of cellulite quickly, let’s understand what causes cellulite in the first place. Reduced blood flow to the fat cells. And, this happens majorly due to the structural composition of a woman’s skin. Men also have this issue, but the only thing is that it goes unnoticed. A study conducted by Quincy, MA at South Shore YMCA, suggests that a diet rich in whole grains, lean protein, low fat dairy, healthy fats, veggies, and fruits along with 120 minutes of exercise a week will help you improve the blood flow, reduce water retention, reduce fat, and build lean muscle. 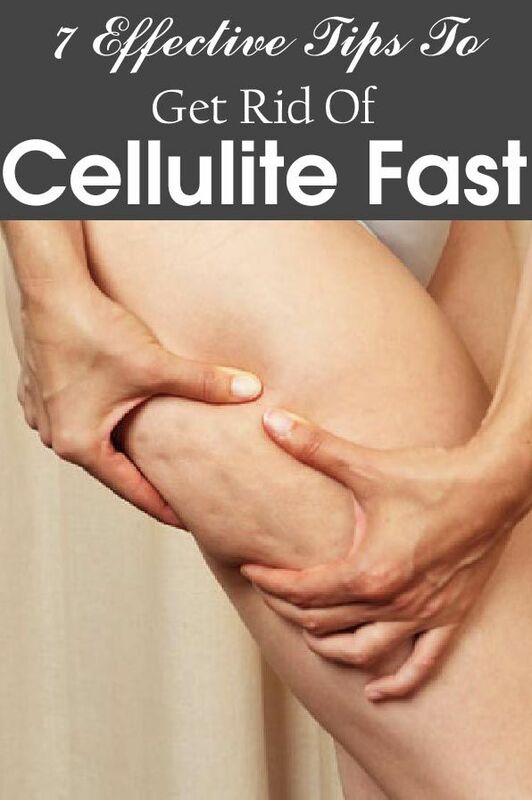 In short, it will help you get rid of the cellulite effectively. Start from your feet in circular motions, and slowly move up the body. The movements should be light, yet brisk; long, but crisp. Once you reach your abdomen, move the brush in a circular motion, clockwise while arms move towards the heart. The correct way of doing a detox massage is to brush towards the heart so that your blood and lymphatic flow get a boost. Just spend a maximum of 5 minutes a day and you will start feeling the difference in about 10 days. However, there are women who have cellulite in their arms as well. Is there an effective, yet quick way to get rid of the cellulite?